1. Do dog trainers need websites? 2. What makes an affiliate really successful? 3. If I join the KPCT affiliate program, how do I know I'll get paid? 4. If I join your affiliate program, what is my commission on sales? 5. 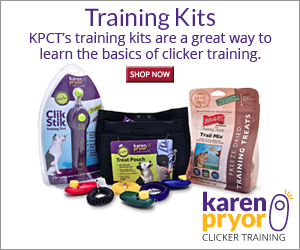 Are the ClickerExpo program and the Clickertraining.com affiliate program different? Should I join both? 6. An example of an affiliate ad that you would place on your website. 7. What happens if someone clicks through to your site and comes back later to buy or register? Do I still get credit? 8. Can I join more than one affiliate program? 9. Do I need a website to participate in the affiliate program? 10. Explain this to me one more time, how does this work?